The film will feature most of the original cast and will take place 10 years after the events of the series, which ran for three seasons from 2004 to 2006. (LOS ANGELES) — The long-awaited Deadwood movie has finally started shooting, 12 years after the Western ended its run on HBO. The plot will feature the characters reuniting to celebrate South Dakota’s statehood, thus reigniting old rivalries and testing alliances. Among the 12 returning cast members are Ian McShane, Timothy Olyphant, Molly Paker, John Hawkes, Anna Gunn, Kim Dickens, Gerald McRaney, Dayton Callie, Brad Dourif, Robin Weigert, Paula Malcomson, and William Sanderson. The film will also include a new cast member, Jade Pettyjohn, who will play the character Caroline. Details about the new character are so far under wraps. 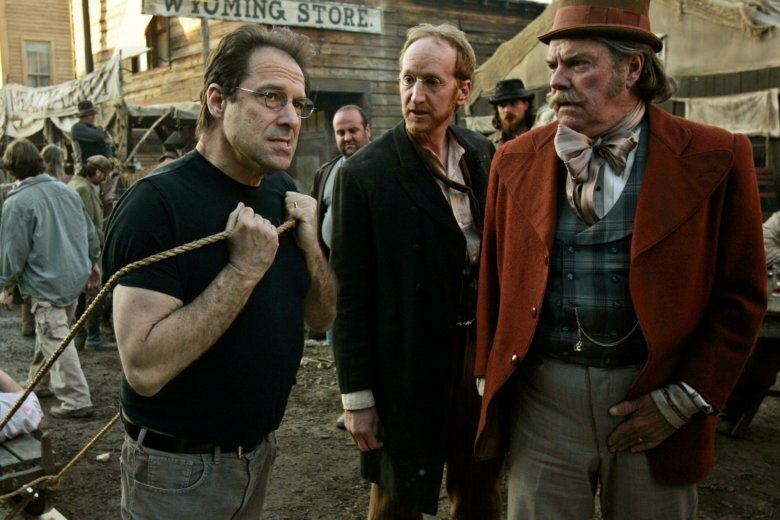 The Deadwood film is eyeing a spring 2019 release.